INTRA GROUP are best manufacturer of Fabrication Of Heavy Engineering Equipment in Hyderabad. We are equipped with world class international heavy machines.Our infrastructure includes Battery Mfg Lines Nandigam, Ring Piling Robot, gypsum handling system, pre cast handling eqpt and much more. We provide a full end-to-end service, That begins with innovative design and engineering through large-scale machinery and plant. Our Quality & Safety are requirement at each work centre & sufficient training will be provided to improve skills of workers & staff. 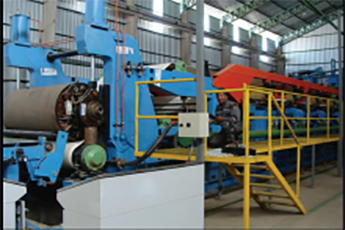 Our plant is well equipped with fully automatic machines which produces world-class quality products.